It was rivalry night at the ‘Yota tonight and it was bumpin’. 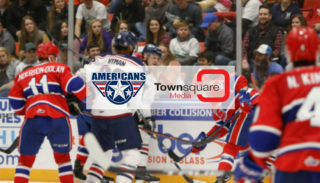 The Americans matched up with the Spokane Chiefs. The game was intense from the moment is started. Although, Chief, Adam Beckman, scored first the Americans didn’t stay far behind for too long. Americans, Sasha Mutala tied the game up in the second at 6:45. Kyle Olson and Nolan Yaremko assisted him. 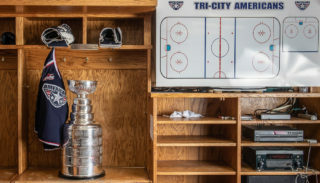 Riley Sawchuk scored the game-winning goal also in the second at 17:09. Kyle Olson sealed the insurance goal in the third at 16:03. 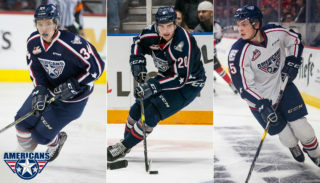 Tonight’s three stars were AMS Beck Warm, Roman Kalinichenko, and Dominic Schmienmann. Final score: AMS 3– SPO 1. 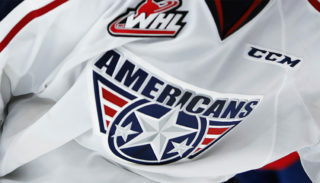 The Americans will next play on February 1 & 2 in Victoria against the Royals.